It has been two weeks since Michael Chiesa and his lawyer, Joseph Murray, Esq. filed a civil suit against Conor McGregor in Kings County, NY for an April incident which left Chiesa bloodied and unable to fight at UFC 223. Still there appears to be this negative stigma surrounding Chiesa since news of the suit broke. Fans, fighters and media members seem to feel like Chiesa’s claim of loss of potential earnings, amongst other claims, is ill-advised or spineless. We’ve read discussions from lawyers on several platforms debating what to expect from the upcoming proceedings. We’ve even seen some go so far as to presume what kind of monetary value this outcome could yield. 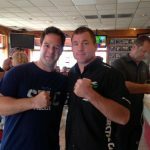 Recently, I had talked with Sik Jitsu owner and coach for Chiesa, Rick Little. While initially trying to limit the discussion on this topic, it quickly became the central focus. Little defended his fighter ensuring that the reckless actions taken by McGregor directly cost Chiesa a title fight, which Little confirmed was to be against Nurmagomedov after Tony Ferguson was forced out as the main event. Chiesa, after all, was the highest ranked fighter on location at the time the opportunity presented itself. “Once McGregor gets tied to your name, its a circus,” Little exclaimed. “That second Pettis fight turned into a circus to him. A circus he wasn’t able to withstand, he couldn’t make the weight and he couldn’t perform like he performs. That was definite residue from the incident,” Little clarified. Due to the loss to Pettis and the alleged timing of the suit, Chiesa has seen some backlash from the MMA community, a community that just can’t wait to see McGregor step back into the octagon after a two-year hiatus. 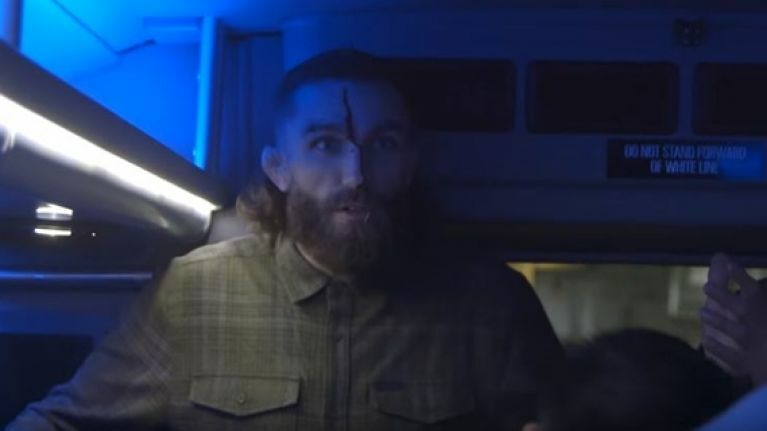 “The MMA community, and I’m just going to say it loud, because a lot of them are just a bunch of sheep and they’re just dumb,” Little proclaimed. “They look at something that flashes in their face and they freak out. But he’s not getting any support because they are not understanding the timing,” Little finished. But something is missing here. All of the questions regarding the timing of this suit, the seeming turn on Chiesa didn’t sit right with me. So with all of the murmurs about the civil suit flying rampant, I had to hear it from the source, Chiesa’s lawyer, Joseph Murray. “We wanted to wait for the criminal case to be over,” Murray stated. “Because he [McGregor] retains the right to remain silent [in a criminal case].” Murray continued. During the discussion Murray was extremely open about the nature of the case while also staying consistent with the confidentiality agreement for Chiesa’s well-being. Murray walked us through the timeline of the suit filing, understanding that the notion exists that Chiesa filed because of his loss to Anthony Pettis at UFC 226 (post hoc ergo propter hoc). “His [McGregor’s] criminal case was settled in July and they [McGregor’s defense] would have moved for a stay so we decided to wait,” said Murray. “Civil cases you do not have the right to remain silent. You must submit to a deposition and answer questions and can be compelled to testify at trial. We decided to wait, evaluating different damages Michael sustained but we decided, at this point, to at least file it,” he continued. So why is everyone questioning the timing of the suit being filed? Was four-and-a-half months too long of a time gap? These questions were burning and needed some clarity. “As to the timing of the filing of our lawsuit, I made the decision to delay our filing until Mr. McGregor’s criminal case was resolved. A defendant in a criminal case has an absolute right to remain silent and refuse to answer questions. In contrast, a defendant in a civil case can and will be compelled to answer questions. So, if we filed right after the incident, Mr. McGregor’s attorney would have undoubtedly filed a motion to stay the civil proceedings pending the resolution of the criminal case, which we would not have opposed,” Murray confirmed. Well that takes care of the timing in question. But why are people trying to guess what kind of financial compensation could come from this, especially since no amount has been discussed? “I have never discussed any amounts with Conor’s lawyer whatsoever,” Murray insisted. “What we are talking about, at this point, is the nature of Michael’s claims,” he continued. Still with everything surrounding the early parts of this civil suit, Murray not only mentioned positive exchanges with McGregor’s lawyer, but is also confident that continuing negotiations will see that this doesn’t go any further. “Michael didn’t want this. We didn’t want this. But I think I can bring these parties to an amicable resolution without further proceedings,” Murray stated. “But filing it just preserves our right moving forward.” He finished. Luckily, both fighters are not letting these proceedings interfere with the sport they love. McGregor returns to the ring next weekend against Khabib Nurmagomedov at UFC 229 at the T-Mobile Arena in Las Vegas. Chiesa, having just bumped up to welterweight is scheduled to face Carlos Condit at UFC 232 in Las Vegas Dec. 29, 2018.